Posted on March 3, 2014 by J. To do something again and again in order to become better at it. There IS a point when we want to hone what we are doing onstage. This happens during the last few weeks of rehearsal. Once we get there, we can start “practicing” in the Merriam-Webster sense of the word. It’s a weird alignment of both “practice” and the creative artistic interpretation that I suggested is the second half of the work done by a musician. Wait a minute! In my last post, I said the first half of rehearsals are about technique, the second half about being creative. But now I just said the second half is about practicing. It is. About practicing AND being creative at the same time. But yes, you’re absolutely right. I’ve moved “practicing” out of the first half entirely, and I’ve replaced it with this thing I’m calling “technique”. So if “technique” isn’t really “practicing”, but is the actor’s version of what he does in the first half of rehearsals – well, what the heck am I suggesting you do with the first half of rehearsals (more like 65%, actually)? The first half of the rehearsal period, for an actor, is spent figuring out WHAT to practice. In music, in sports, in almost any other activity, you can figure out what to practice pretty easily. It’s given to you by someone who’s figured it out before you (unless you’re trying to reinvent the wheel, that is). Your baseball coach gives you drills. Your piano teacher gives you scales and sheet music. But for an actor, nothing is predetermined. You’re given words, but it’s up to you to figure out how to best present them, how to create a character who would speak them. You go from knowing nothing – 0% — to knowing, say, 75% by the time you reach the end of this exploratory phase. You pick up the last 25% in the creative/practicing part of rehearsals. How is this different from what you may be doing now? Well, I think I said somewhere that the moment you finish reading the script for the first time, you have made dozens of decisions about the play, the characters, how it is going to look, sound, etc. And if you do that, you are probably starting from something like 40%, not zero. 40% may seem high to you, and in all honesty, it’s a number I’m pulling out of the air based on my gut instinct (which is usually pretty good, by the way). It sounds high, because certainly there are far more decisions to be made than the dozens I’ve suggested you make on your first reading of the script. There are. But the dozens you’ve made initially have, effectively, eliminated a whole bunch of possibilities. You may only technically be at 10% at this point, but the decisions you’ve made have made the other 30% a foregone conclusion. 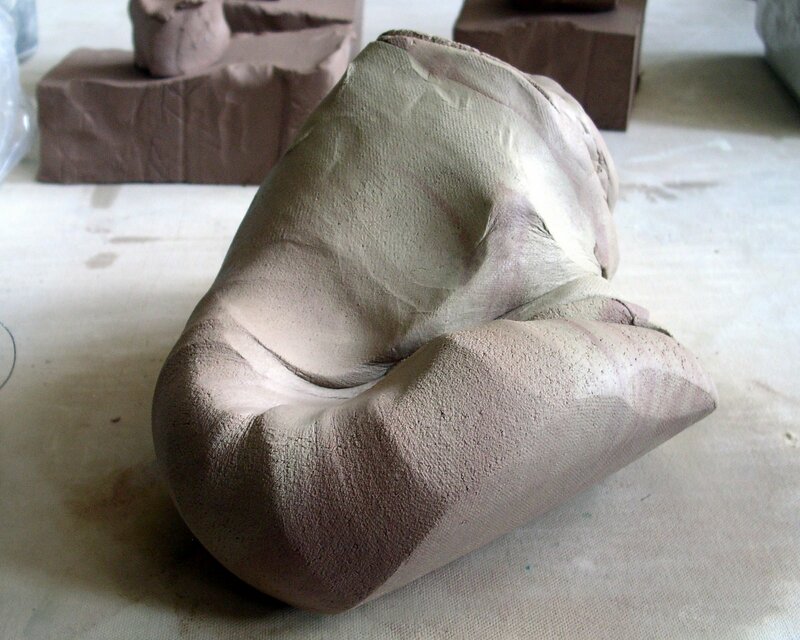 To get to a really great performance, you have to permit yourself to be a lump of clay initially. Something formless and shapeless that you will gradually give definition to, until you have a delicate and distinctive bust to present to the audience. You don’t want to start rehearsals with a piece of clay that can be clearly identified as a head, no matter how rudimentary. We seem to have reverted to Problem No. 1, “public”. But who is watching the Open Door Reading who gives a damn whether or not the sentence is completely comprehensible, delivered as smoothly as it will be on opening night? Who cares if you’ve attached the “right” emotion to it or not? Who cares if your intensity is what you want it to be in a final performance? NO ONE. Let me repeat that. NO ONE. That’s not the purpose of the Open Door Reading. It’s purely a personal exercise for each actor individually and for the two as a creative team. And so should most everything else be that you do in the first few weeks of rehearsals. To read Part I, go here. To read Part II, go here. To read Staying in the Moment, go here.